On August 3, we honor San Diego Junior Theatre's graduating seniors at a special ceremony at the intermission of Into the Woods. This event is followed by a dessert reception with seniors and the 70th Anniversary JT Honorees. Tickets for this special event are $25.00. 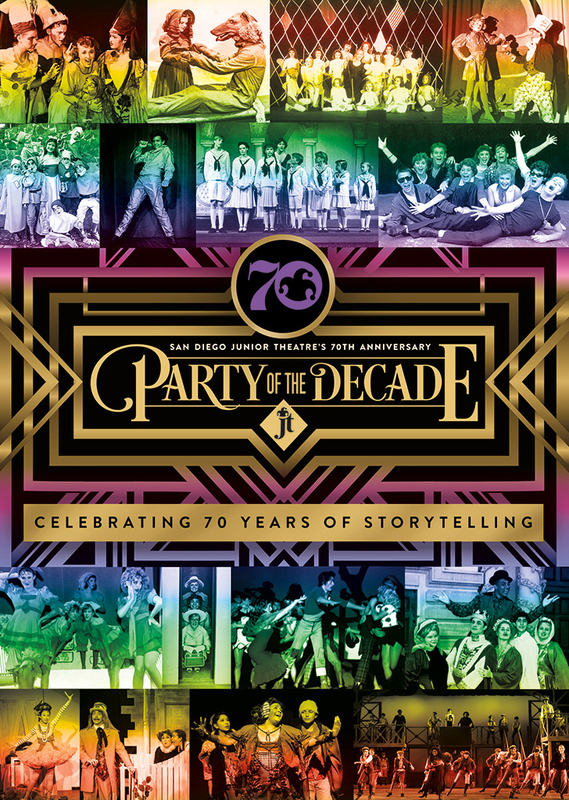 The Party of the Decade will celebrate San Diego Junior Theatre’s 70th Anniversary of providing high-quality theatre education and productions for children. 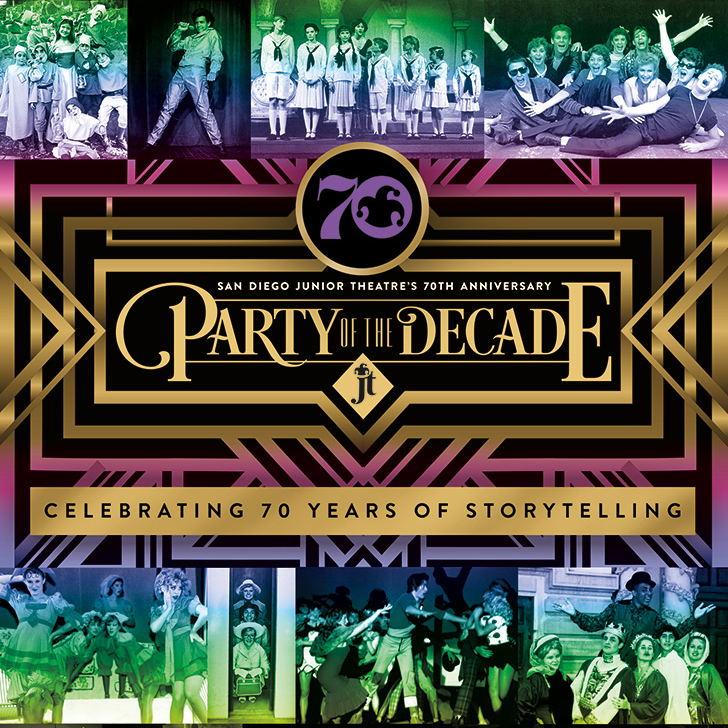 Please join us for a night of 70 years of inspiring stories, gourmet dinner, wine and refreshments, silent auction, and entertainment by current students and distinguished alumni…all under the stars in beautiful Balboa Park. Unable to join us? Please consider making a $70.00 donation instead. All donations will be matched dollar-for-dollar up to $7,000 until August 3, 2018. Donations of $70.00 (or more) will receive a 70th Anniversary pin!